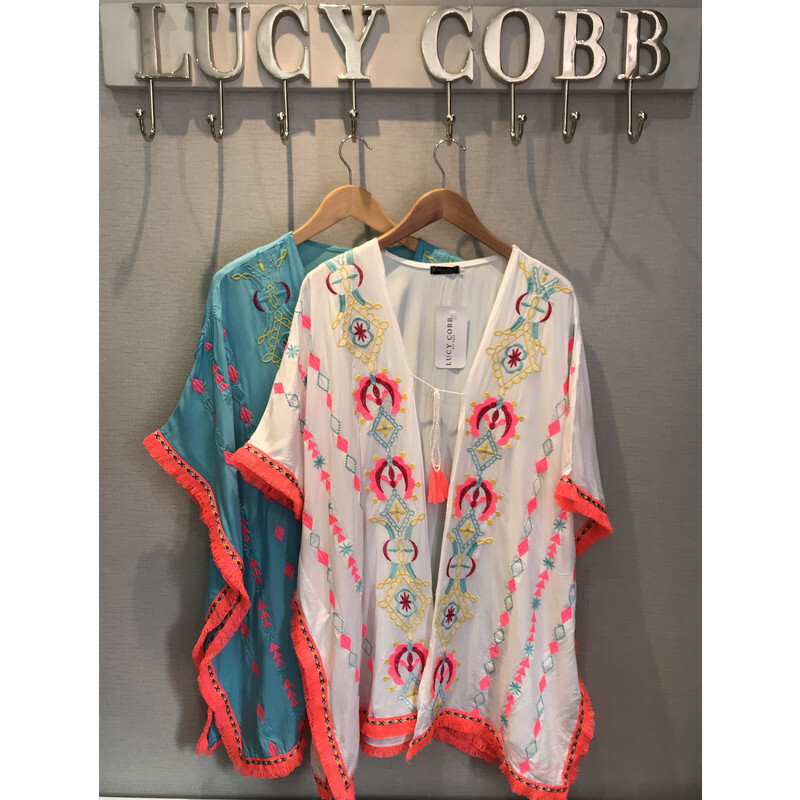 Antonia kaftan is a colourful holiday addition perfect for a swimwear cover up. Edged with neon trim and colourful embroidery detail. Short sleeves and open front with a tie tassel.